From the more traditional barcode label to full traceability with RFID labels, our products fit any requirements. Paragon has been providing labels for the logistics sector for 50 years. We produce billions of labels every year. The true revolution in the logistics sector is however, the RFID label. RFID labels are a huge asset for the logistics sector; they vastly improve traceability, stock management, inventory and container tracking, among many other areas. The logistics company who makes the smart choice, and chooses Paragon ID as their RFID label supplier, can then look forward to improved accuracy, reliability, increased productivity gain and improved client services. Compared with barcode labels (which can become difficult to read due to poor printing quality, damage to the label etc.) there are no readability issues with RFID labels. Several Paragon ID RFID labels can be read simultaneously - even if you can’t see them. There is also no need to open boxes to scan products one by one - as you would with a barcode. This streamlines processes and dramatically improves productivity. Depending on the application and the type of products in the warehouse, RFID labels can be applied to individual products, boxes or pallets. When using RFID labels for stock management, inventory accuracy reaches 95% as opposed to 80% when using traditional barcode labels. You can access real-time stock information whenever you want allowing you to manage more accurately your stock replenishment and provide improved services to your customers. Instead of scanning an entire pallet manually, your warehouse operative passes the pallet through a RFID tunnel which entirely and simultaneously reads the contents of the pallet. Another solution is to add a RFID reader on the forklift truck. The time saved by using this method leads to vastly increased productivity levels. 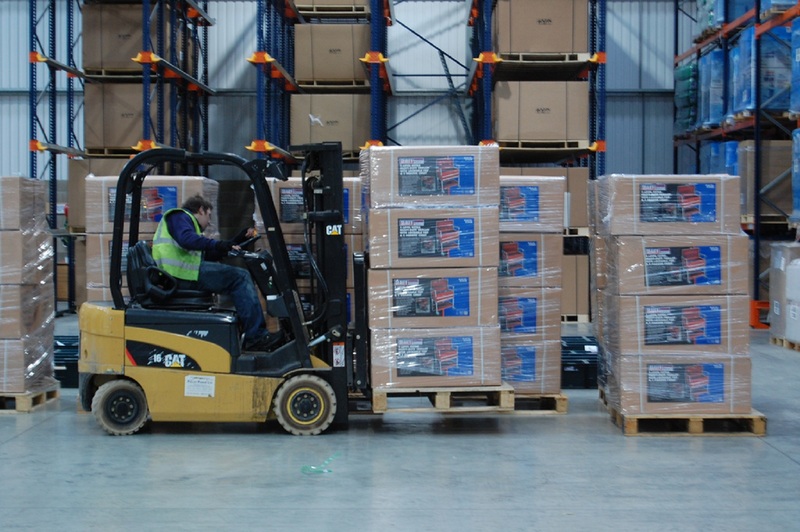 Operatives don’t have to get down from their forklift trucks as often as before, and don’t have to contort to scan items one by one, so they are less likely to injure themselves and suffer from muscle strain. This results in a reduction of sickness days and accident rates in your warehouse, whilst improving their job satisfaction. Additionally, with RFID technology each entry or exit of pallets, or items, from a warehouse or storage area, is detected automatically. It is therefore much more difficult to steal goods.